CANAAN, NH – Vince Quenneville, Jr., made history on Saturday, October 19, as he clinched the inaugural championship for the Northern Modified Challenge Series. The veteran open-wheel Modified stock car driver from Brandon, VT was a front-runner throughout the “OctoberFast” 100 finale at Canaan Dirt Speedway and wrapped up the title with a fifth-place finish. Sanctioned by management from Devil’s Bowl Speedway in West Haven, VT, the first-year Northern Modified Challenge Series (NMCS) is a unique championship tour, utilizing center-seat, dirt-style Modified cars on both asphalt and dirt tracks in the northeast. CANAAN, NH – The inaugural Northern Modified Challenge Series stock car champion will emerge from a crowded group of star open-wheel short track drivers at Canaan Dirt Speedway on Saturday, October 19. The first-year series heads to its season finale with five drivers separated by only 11 points. 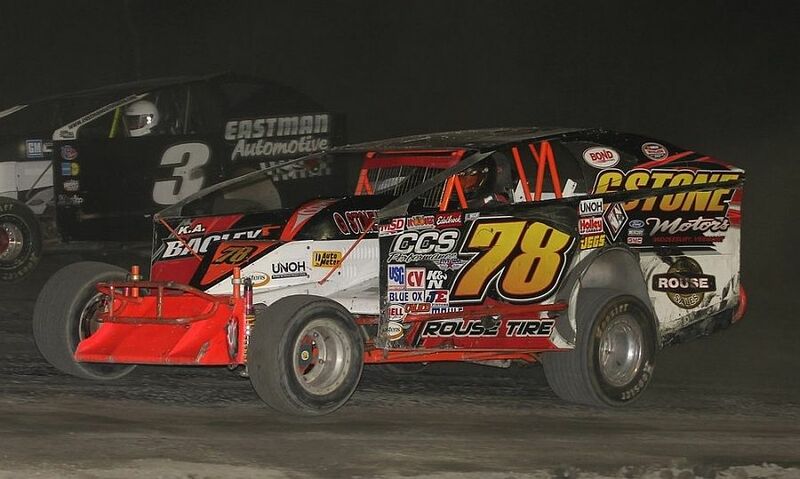 The Northern Modified Challenge Series, sanctioned by Devil’s Bowl Speedway, is unlike any other championship tour, utilizing center-seat, dirt-style Modified cars on both asphalt and dirt tracks. Three feature events have been contested on the series’ home track in West Haven, VT, an asphalt half-mile, with additional asphalt races at Thunder Road in Barre, VT in May and Canaan Fair Speedway in August. The finale will be run at Canaan Dirt Speedway – a flat, quarter-mile clay oval adjacent to the asphalt track. Joey Pole made history on September 14, adding name to the impressive list of winners for the Granite State Pro Stock Series on Saturday, and also by winning the final race at the 1/3 mile banked oval. 28 cars attempted to qualify for this historic event, with 22 taking the green flag. 2012 Canaan Pro Stock Champion Jeremy Davis, winner of the May 4th event, led the field down to the green, but the caution came out before the first lap could be completed, setting a tone for the event. By the time the race was 10 laps in, four cars had already retired from the event. Pole and Davis took time leading the race with Davis leading all but the opening two cirsuits. At the lap 25 mark, Davis continued to hold on with Pole second, Matt Frahm third, Bobby Baillargeon fourth and Larry Gelinas fifth. The seventh caution of the affair came out on the 34th lap for Wayne Heliwell Sr. Another handful of cautions slowed up the event by the halfway point. By this time, Pole had re-taken the lead over Davis, Gelinas, Davis and Frahm. Granite State Pro Stock Canaan 100 this Saturday Night! Canaan 100 This Saturday Night! SOUTH PARIS, Maine – Don Wentworth of Otisfield, Maine, is a veteran stock car driver who won’t quibble with one inevitable truth in short-track racing: It’s better to finish strong than it is to sputter to the finish line and spend all winter trying to figure out what went wrong. 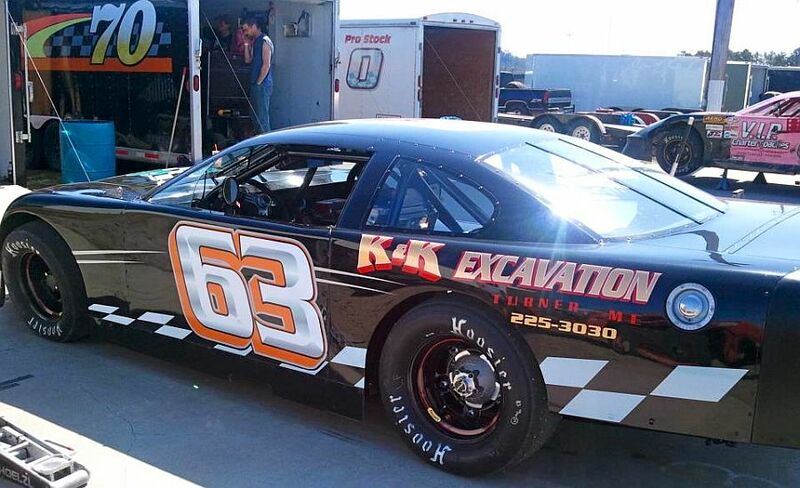 Wentworth made sure he put a solid capper on the 2013 season at Oxford Plains Speedway in Oxford, Maine, posting a pair of podium finishes in the final two events of the inaugural Pro Late Model season at the track. Wentworth won the 40-lap feature at Oxford on August 30. For many of the competitors on the Granite State Pro Stock Series, Saturday, September 14 will be a surreal day for them. It is the next stop on the 2013 schedule for the Granite State Pro Stocks, one that will have major point championship implications. But more than that, drivers like Jeremy Davis, Zig Gino, Donnie Lashua among many others have spent time in Canaan Fair Speedway Victory Lane. Davis, Gino and Lashua have been honored as champions there as well; Davis will go down as the final Pro Stock champion at the 1/3 mile oval. Jeremy Davis comes into Canaan Fair Speedway as the most recent winner there from the Granite State Pro Stocks, picking up the win on May 4th, the second event on the schedule. Lashua is the defending winner of this late summer classic, charging to the win on September 16, 2013. This time, for both of these, and many others, it’s personal.